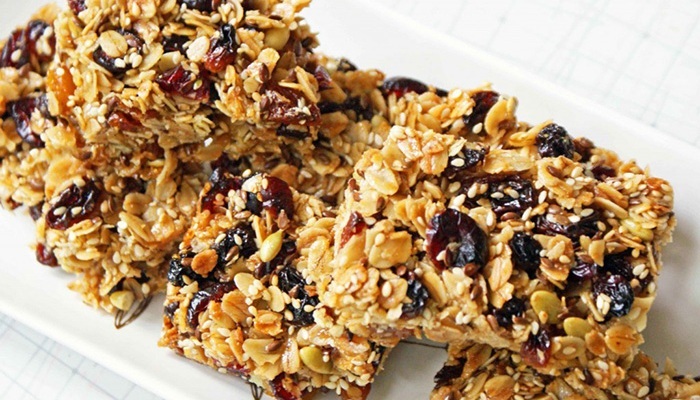 Energy bars have been the all-time snacking options for most. 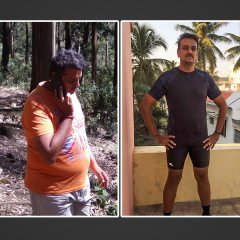 Earlier, it was popular only amongst sportsmen and women and body builders but,over time people on weight loss too have started munching on energy bars as their meal options. The questions that most of my players ask is, how healthy are these energy bars? Would you recommend me adding these bars in my routine? Which energy bar is the best one? How to choose? Energy bars have been a hit in the sports world but, what is bothering me is common people binging on energy bars. There is a huge range of energy bars available online or in the super markets and hence has become easily accessible. Is it a boon or a bane? I cannot label anything as good or bad but all I prefer doing is educating people about choosing the best one for them! As the name suggests, energy bars were made to provide instant energy to the athletes and sports enthusiast but thesedays, it is slowly becoming meal replacement snack. 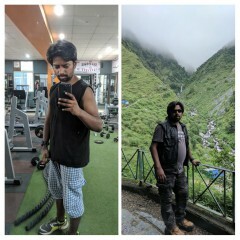 Is it worth skipping a meal? Let’s find out! Let’s consider an Indian thali. When you eat an Indian thali, all nutrients are covered. As the name suggests, MACRO means larger quantities and MICRO means lesser quantities. FIBRE and WATER are also very important. They are said to be most forgotten nutrient. Depending upon the recipe, the amount is decided. Energy bars have 10-60 grams of carbohydrates which varies from one brand to another. It can be a mixture of simple and complex carbohydrates. If energy bars contain more of oats, muesli then it means it is high on complex carbohydrates and the form of sugar in them makes up the simple carbohydrates. Energy bars have 5-25 grams of proteins depending on the source of proteins. 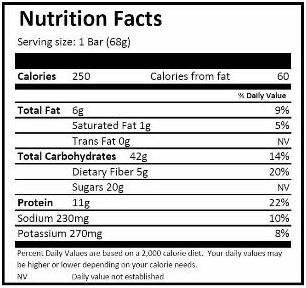 If it is a meal replacement bar then proteins are higher, if it is an instant energy bar then carbohydrates are higher. Pea protein, soya protein, casein or whey protein are most common sources used in energy bars. Energy bars have 3-5 grams of fats which completely depends on its nutrients. Sometimes, fat content is higher depending on the amount of other nutrient groups added. Most of the energy bars used by the athletes and sports enthusiasts are more than 500 calories. People who eat energy bars as their snacking options then they should take care about the calories mentioned on the label and should always go for calories less than 250. It is one of the most forgotten nutrient but when it comes to energy bar, high fibres ones are to be choose only if you are having it as a snack. If you are having an energy bar to boost up your energy before workout or any sport then low fibre ones should be preferred. 3-5 grams of fibre is ideally preferred if you are picking it up as a meal replacement snack. Energy bars might sound like a healthy option but you need to be very careful while picking one for you. Most of the energy bars are loaded with unwanted sugar. Reading the nutritional label in such cases becomes very important. If you are choosing an energy bar as your meal replacement snack then go for the ones which are having at least 3-5 grams of fibre. If you are having your energy bar before workout or any endurance exercises then you need to go for high carbohydrate bars. If you are having your energy bar as a meal replacement snack then go for high protein bars. If you are on any weight loss program, choose energy bars which are less than 500 calories. If your energy bars are having large amounts of high fructose corn syrup or some other sugar source then try avoiding those bars. Try to choose bars which have lesser ingredients. Go for the ones with oats, muesli, honey and so on. 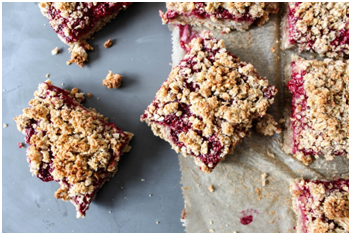 Energy bars are the most convenient snack option to go for but anything which is homemade has a higher preference! 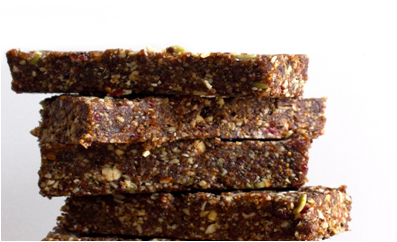 Energy bars can be prepared at home with absolute ease! Better awareness about ingredients used. Without any artificial preservatives or added colours. Purest form of energy bars, can be made depending upon individual preferences. 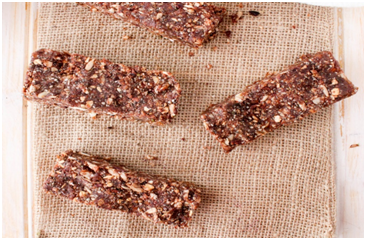 Here are some energy bar recipes which can help you in getting a healthy dose of your snack option! Take raspberries, chia seeds, honey and lemon juice and place it in the food processor and keep processing it until it becomes smooth. Keep it aside for 15 mins. This becomes the chia seed jam. Add rolled oats to the processor to make it as a coarse flour. Add walnuts, vanilla extract and rock salt to the coarse flour. Process it further and add seedless dates while the processor is on. Once the mixture is prepared, spread it evenly on the pan and let it set. Spread the chia seed jam on this mixture. Cover and keep it in the fridge for 2 hours. Remove it, cut the bars in the desired shapes! Chop cashews, almonds, dates and keep it aside. Combine chopped cashews, almonds, dates, cocoa powder and rock salt in a food processor. Process all the ingredients till it becomes coarse. To this mixture add shredded coconut and process further. To this, add vanilla extract and little cold water till it becomes moist. Spread the mixture evenly on the pan and refrigerate it for 2 hours. Cut it into desired shapes. You can top it up with some Choco chips as well! Chop walnuts, figs and keep it aside. Combine chopped walnuts, figs, whole grain flour, cinnamon powder, baking soda and rock salt in a food processor. Process all the ingredients till it becomes coarse. To this mixture, add vanilla extract and little cold water till it becomes moist. You can top it up with some fresh fruits as well while eating! I hope you like all these recipes! Being a naturopath I prefer home made things over anything else! Wow these recipes seem awesome!! Much needed. Awesome recipes too.? Wow! Very helpful , healthy and interesting! I wish the world could understand this? Awesome…. 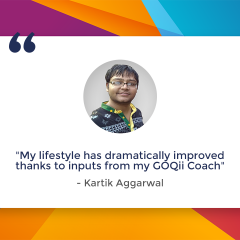 Will definitely try this recipe very soon @ home… Also thanks for putting the GOQii Blog link directly in my GOQii App. 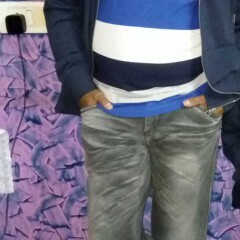 Now I can direct access all the healthy blogs.. Keep it up..